Email marketing has proven to be an old school marketing tools that drive ROI in your business. 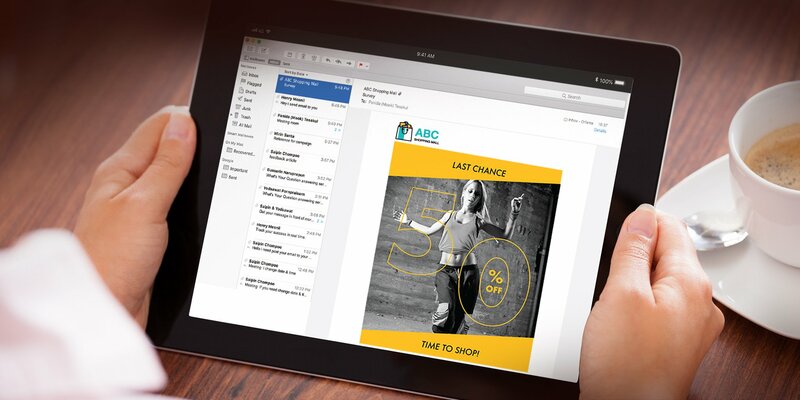 While it may take a while for a new email marketer to realize how cutting-edge email can be. It can absolutely be a dynamic and as cutting edge as social media or the web. You just have to use your imagination and creative template. A great example is video email marketing. While it is true that not everyone can see embedded video on emails, that doesn’t mean you should not consider it. The 2014 Online Video Marketing Survey and Trends Report, published by Flimp Video Management, found that 82% of the marketers they surveyed say video email marketing is effective. So forget the idea that email marketing is outdated and obsolete and see char adding some movements to your emails might do. These require HTML5 to be visible. Litmus did a major and public experiment with HTML5 video backgrounds for the Email Design Conference last 2014. As you probably know, the most common workaround for embedded videos is to create a “fallback image”. A static image that users will see if they can’t play the video. You can choose and set them to replace the cover image of the video on the settings when you are creating your email campaign. Animated gifs are increasingly being classified as videos. Though they are not video it takes a couple of frames to make the video move. This is one of the tricks to keeping animated gifs both small and engaging. Often three or four frames is the sweet spot. It’s just enough motion to be engaging. Unfortunately, animated gifs don't work in Outlook. All you'll see of an animated gif in an Outlook client is the first frame of the gif. If you have a readily available gif file of your image, you can simply upload it to your taximail mail account when creating your campaign. A blend of videos and photographs, cinemagraphs look like a looping video, but only one part of the image moves. It’s been said that my many consultants that they are getting a 20% conversion rate by sending customized and crafted cold emails to the right prospect. Even if it is a static image that will lead to a landing page of the actual video, might just be the right thing to break through and really get their attention. Nowadays, videos have proven to increase the conversion rate of any product and why don’t you add the product video to your email marketing efforts. It would be great to know how it improves your email campaign. a.) You can add and explain a new feature using an animated gif, you can send it customer support emails to explain how customers can solve common problems. When a customer has a problem, the customer service people just make a 1-2 minute video explaining how to do what the customer wants. This saves writing long explanations and is more helpful to the customers. Also, you can embed this video on your website in the help center. b.) This can make special messages pop. With your added animation gif to the email to will surely stand out and be noticed. Like a candle sparkles like fireworks if you are sending a special birthday email to your customers using an animated gif. Smart Facebook marketers are now uploading all their videos to Facebook directly. It’s been working so well, there were actually more video views on Facebook than on YouTube! You can boost your engagement simply by doing some cross-channel marketing and reaching out to email subscribers who haven’t seen the cool new videos now available on your Facebook page. You embedded video, a static image that looks like a video, or an animated gif will get more eyeballs on your Facebook or Youtube videos. Why not add one or two customer testimonials or case studies to your email? These kinds of customer stories might work especially well in an onboarding or welcome series of emails or when you are about to make the final sales pitch. Hopefully, that gives you a lot of ideas for how you could add some movement to your videos. The occasional use of a well-designed animated gif might be just the thing to lift response rates just when you really want them.